MC GREE opened up about his father, entertainer Kim Gu Ra. 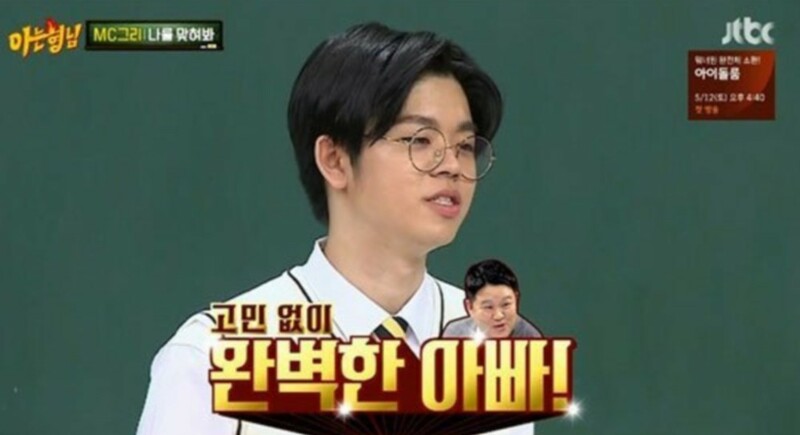 On the May 5th episode of 'Knowing Brothers', MC GREE talked about his famous father, saying, "My dad writes everything in the household accounting book, including when he buys me chicken. He's been that way ever since 2006 when he started to become more popular." He continued, "To me, he's a perfect father. We've never fought really. I didn't go through a rough puberty period either." Are you surprised to hear Kim Gu Ra seems to be a loving father at home despite his harsh remarks on TV?